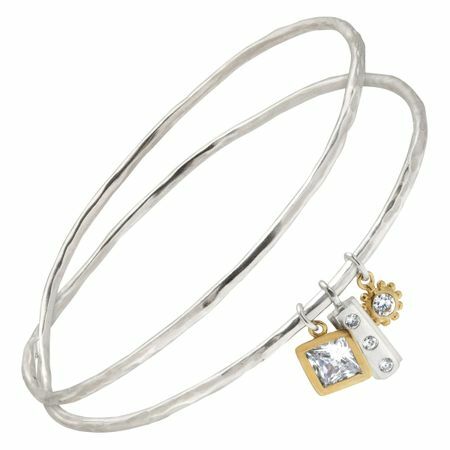 The In the Mix bracelet features two sterling silver bangles finished with three alternating cubic-zirconia studded sterling silver and brass charms, putting a new twist on a tried-and-true classic. Bangles measure 7 1/2 in circumference and features an easy slip-on design. Largest charm measures 9/16 inches in width.